Over the years as I have developed as a photographer, shooting Wright’s architecture has truly been a highlight of my career. This past summer I had the opportunity to shoot each site on the Heritage Trail while I was teaching a photography workshop at Taliesin. 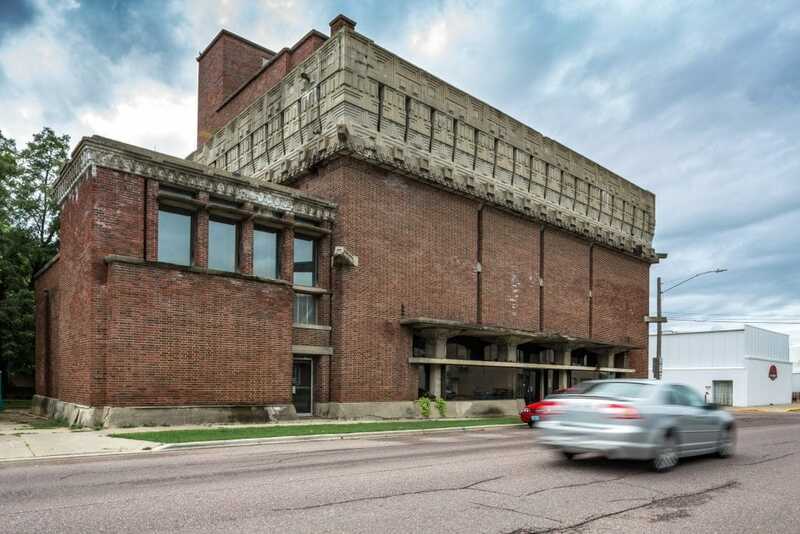 I thought it would be a great opportunity to focus on Wright’s iconic buildings in Wisconsin, all of which have colorful stories and rich, historical significance. The 14-story research tower was a later addition to the building and provides a vertical counterpoint to the horizontal administration building. It is one of only two existing high rise buildings designed by Wright. While I was shooting Wingspread earlier in the day, the staff offered to call and see if I could get a tour. Luckily, the tour guide was available, and I got to photograph for a few hours. Wright is famous for his natural lighting, but I think his designs in both the research tower and the “great workroom” have some of the most incredible balanced light I’ve ever seen as a photographer. It’s the kind of natural light design you never want to stop photographing. Herbert F. Johnson, Jr. was so impressed with Wright’s design for his administration and research tower, Johnson later commissioned Wright to design his new home. Wright called the 14,000-square foot residence Wingspread because its four wings embrace the prairie, while the roof over the central “great hall” soars skyward. In doing my research for this shoot, I knew that the central chimney was huge, but I had no idea how big it actually was until I saw it in person. It’s a monster! It was difficult to photograph because it’s on two floors. The wood and brick combination inside was breathtaking. Like so many of Wright’s designs, the light just beautifully fills the entire space, and the shadows danced around the interior the entire time. Wright’s original design was rejected in 1938. Former Taliesin apprentice Anthony Putnam later finished up the interior design, and the project was finally completed in 1997. I was staying overnight at a hotel on top of the hill and knew there was going to be a bright moon and clear sky that night, so I decided to wait and walk around Monona at night. I’ve seen the classic shot from the water, which would’ve been my first choice, but I didn’t have a kayak. I thought the white design on beautiful dark blue worked well. My friend Michael Collins took me here during my first visit to Taliesin in the summer of 2015. We decided to walk in and take a look at the interior, and a woman working the front desk was nice enough to give me a few quick minutes to take this photograph. I loved the ship-like design, and although the light coming through was really bright, it’s such a beautiful arrangement and allows plenty of light to fill the room. Wright’s legendary home and studio, named after a Welsh word meaning “shining brow.” Taliesin has been frequently photographed over 100+ years, and there are definitely iconic locations that make for great photos. I made an effort to try to find a few unique compositions and looks. The image looking back from the “birdwalk” is a three-image panoramic created with my tilt-shift lens, giving a fresh and interesting perspective to a classic photo. Wright was born in Richland Center in 1867. The A.D. German Warehouse is a Mayan Revival-designed warehouse. I honestly didn’t know what to expect. I had seen a few recent photos of the building, and it didn’t seem to be in good condition. I was not able to get access inside so I had to settle for a shot from across the street. I chose this angle to highlight the different roof heights and thought the movement of the cars added an interesting element to the building. Andrew Pielage is a travel and architectural photographer based out of Phoenix, Ariz. His latest personal project is to document, through photography, all of Frank Lloyd Wright’s properties around the world.